Gina Rinehart the world’s richest woman (0) May 24, 2012 The BRW Rich List has named billionaire iron ore heiress Gina Rinehart the world’s richest woman, and claims she’s on track to soon become the richest in the world. Some foreign workers don’t need visas: Court (0) May 24, 2012 The Federal Court has ruled that some foreign workers on the $43 billion Gorgon gas project in WA will not need to apply for Australian work visas. Coal unions threaten strikes in WA (0) May 24, 2012 As workers down tools at BHP Billiton’s coal mines in Queensland, unions in Western Australia threaten to do the same with workers at Griffin Coal’s Collie mine. Miners defend FIFO (0) May 24, 2012 The Minerals Council of Australia has defended the use of fly-in fly-out work and 12-hour shifts for remote mine sites. NRW wins BHP Pilbara contract (0) May 24, 2012 NRW has been awarded the contract for BHP Billiton’s Port Hedland Inner Harbour project. 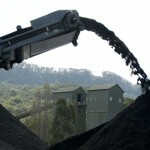 Hunter coal mine fined for dust emissions (0) May 24, 2012 Rio Tinto’s Mt Thorley Warkworth coal mine has been fined by the NSW Department of Planning and Infrastructure after failing to minimise dust emissions. 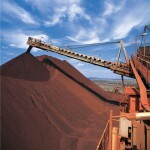 BHP prices bond issue (0) May 24, 2012 BHP Billiton has priced a two tranche billion Euro bond under its Euro Medium Term Note program. Space mining explained [Video] (0) May 23, 2012 Of all the ambitious developments planned by the world’s miners, none come close to Planetary Resources’ plans to mine in space. Equipment that killed miner had previously malfunctioned (0) May 23, 2012 The equipment that crushed and killed a worker under ten tonnes of coal waste at Xstrata’s Ravensworth mine in 2009 had malfunctioned previously, an inquiry has heard. Women should try mining jobs: QRC (0) May 23, 2012 The Queensland Resources Council says more women should learn a trade and start working in the mining industry. Dendrobium coal mine sees second roof fall (68) May 23, 2012 BHP Billiton’s Dendrobium underground coal mine has seen its second roof fall in two years. 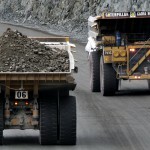 Aussie miners should look to South America: Ferguson (0) May 23, 2012 Federal Resources Minister Martin Ferguson says more Australian companies should look to Latin America as a mining destination. Geraldton Port to be upgraded (15) May 23, 2012 Mount Gibson Iron has upgraded its iron ore facilities at Geraldton Port. Contractor stops work until paid $1m in back pay (0) May 23, 2012 Bass Electrical has ceased all work for Gujarat NRE until it is paid more than $1 million in back pay its owed, the company claims. $3,000 a week not enough for NT workers (0) May 23, 2012 Industry bosses and the NT Chamber of Commerce say pay rates of around $3,000 a week may not be enough to attract gas workers to the NT. BHP restarts smelter ops in Tasmania, cuts jobs (0) May 23, 2012 BHP has announced that it restarted its TEMCO manganese smelter operations in Tasmania but will cut jobs at the site. 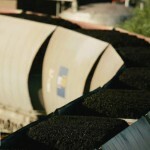 Yarwun Coal Terminal declared significant as Abbot Point scaled back (0) May 22, 2012 The Queensland Government has declared the Yarwun Coal Terminal project significant as it announces a scaling back of the Abbot point super expansion plans. 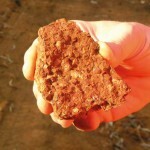 Royal Resources’ iron ore project passes 1 bn tonne mark (0) May 22, 2012 Royal Resources’ Razorback project has increased its resource to more than a billion tonnes of iron ore.
Environmental approval for WA’s first uranium mine (0) May 22, 2012 Western Australia has given environmental approval to the state’s first export uranium mine. 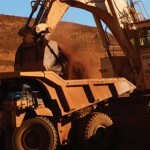 BHP to meet with unions over pay in the Pilbara (0) May 22, 2012 BHP Billiton has to begin pay talks in an effort to end union exclusion at its Pilbara mines while it faces strikes this week at its BMA coal operations. 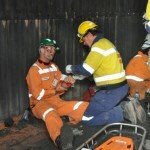 Workers used hands to rescue NSW miner (0) May 22, 2012 A former employee at Xstrata’s Ravensworth mine has told an inquiry that he and other workers used their hands to rescue a miner buried under debris. 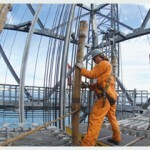 Rio sells off Alcan Cable (0) May 22, 2012 Rio Tinto has sold off its Alcan Cable business. Palmer erects billboard to challenge Wayne Swan (0) May 21, 2012 Clive Palmer has erected a massive yellow billboard to kick off his federal politics campaign. ‘Ecovandals’ claim responsibility for anti-mining threats and graffiti (0) May 21, 2012 A group of self-proclaimed ‘ecovandals’ have claimed responsibility for vandalising a Wollongong home with anti-mining graffiti. 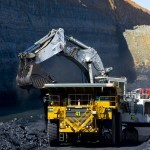 Probe starts over NSW coal death (0) May 21, 2012 An inquest into the death of a worker at Xstrata’s Ravensworth mine in 2009 will begin today. Rio Tinto donate world record pink diamond to museum (5) May 21, 2012 Rio Tinto is donating its massive pink diamond, found earlier this year, to a Melbourne museum. 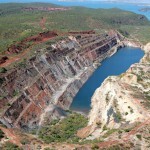 KAP slams Queensland zinc mine (0) May 21, 2012 Katter’s Australian Party parliamentary leader Shane Knuth has slammed Kaga’s Baal Gammon zinc mine in Queensland for putting agriculture and tourism at risk. Orica confirm Burrup ammonium nitrate plant to go ahead (8) May 21, 2012 Orica has announced that it will now form a joint venture with Apache and Yara to build an ammonium nitrate plant in Western Australia. Mining supporting Sydney (0) May 21, 2012 The NSW Minerals Council has released new data showing the mining boom lifting not just WA, but also NSW. Fined companies blame WorkSafe for death (0) May 21, 2012 One of the companies fined over the death of a worker in Broome says WorkSafe’s lack of guidance is partly to blame for the accident. Miner rescued after 17 days underground (0) May 21, 2012 A Chinese miner has been rescued after spending 17 days buried underground following a mine flood. BMA ballot fails, unions call for more strikes (0) May 21, 2012 BMA proposed enterprise agreement ballot has been voted down by workers, as unions serve the miner with a notice for more strikes. Palmer starts legal action against Fairfax Media (0) May 18, 2012 Clive Palmer has commenced legal action against Fairfax Media seeking $50 million in damages over a story the Sydney Morning Herald published about his China First mine. 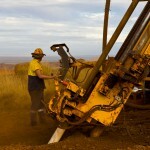 We’re forced to use foreign talent: drilling boss (0) May 18, 2012 Boart Longyear’s US-based CEO Craig Kipp says the skills shortage has forced the company into flying US and Canadian talent into Australia. GE acquires Industrea (23) May 18, 2012 GE has announced it will acquire Australian mining equipment and technology company Industrea. Lock the Gate wants to end mining: Minerals Council (0) May 18, 2012 The NSW Minerals Council says comments by Lock the Gate president Drew Hutton show protestors are using debate over strategic land use as a “weapon to end mining”. 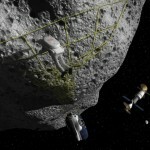 Space miner inundated with job applications (0) May 18, 2012 Proposed asteroid mining Planetary Resources has already received thousands of job applications only weeks after announcing its space mining plan. Hutton still considering suing Clive Palmer (0) May 18, 2012 Lock the Gate president Drew Hutton says he’s still considering suing mining magnate Clive Palmer over comments he made earlier this year. 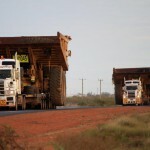 Queensland needs 30,000 mining jobs in five years (0) May 18, 2012 New research says expansions in the resources industry mean Queensland will need an extra 30,000 mining workers over the next five years. Gold Coast FIFO hub plan stall (0) May 18, 2012 The Gold Coast’s plan to become a FIFO mining hub has ground to halt less than a year after it was announced. 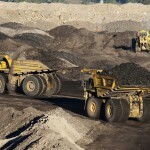 ACTU backs Bowen Basin BMA fight (0) May 18, 2012 The ACTU has thrown its support behind unions as industrial action continues at BMA coal mines in Queensland. 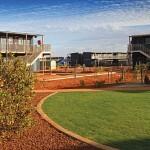 Rio extends Fleetwood camp accommodation contract (0) May 17, 2012 Rio Tinto has added another months its accommodation services contract with Fleetwood at the Searipple Village in Karratha. 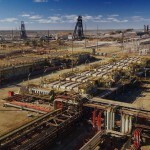 Sedgaman to upgrade CPP at BMA’s Saraji mine (0) May 17, 2012 Sedgman has signed a contract with BMA to upgrade the coal preparation plant at its Saraji coal mine. 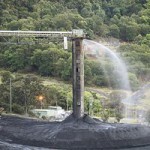 BHP’s Nasser hit out at deteriorating BMA situation, industrial relations in Australia (0) May 17, 2012 BHP chairman Jacques Nasser has hit out over the government’s industrial relations policy and the union stalemate at its BMA coal mines. Two injured in ammonium nitrate truck crash (10) May 17, 2012 Two truck drivers were injured yesterday when their road trains collided. 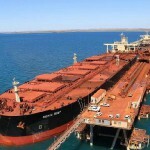 BHP chairman Nasser says Gov may force miners offshore (0) May 17, 2012 The chairman of BHP, Jacques Nasser, yesterday slammed the Government’s position on tax and industrial relations, likening the former RSPT to a “nationalising of resources in Australia”. Miners net the highest pay rises (0) May 17, 2012 The mining sector continues to lead the nation on pay increases, with resources states seeing the highest wage growth. Ferguson backs controversial Kimberley gas hub (0) May 16, 2012 Federal resources Minister Martin Ferguson has thrown his support behind the controversial James Price Point gas development, despite the rise of ugly protests. Miner fights sacking over non-union “scab c**t” call (0) May 16, 2012 An ex-Norwich Park worker is fighting BMA after he was sacked for allegedly calling a non-union employee a “scab c***”. Bearded women crash Melbourne Mining Club dinner (0) May 16, 2012 Last night’s Melbourne Mining Club meeting was crashed by a group of female protestors in beards. 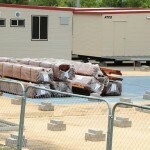 Companies fined over worker deaths in explosion (0) May 16, 2012 Two companies have been fined $140,000 following the death of two men in an explosion in Broome. 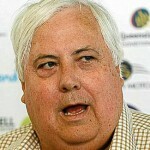 Nothing worth saving at Bimblebox: Palmer (0) May 16, 2012 Mining magnate Clive Palmer has reiterated claims the Bimblebox reserve is not worth saving from mining development. 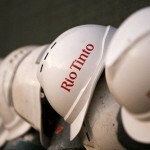 Rio doubles its mining trainee program numbers (0) May 16, 2012 Rio Tinto has announced plans to expand its apprenticeship and trainee programs to meet the demands of its future expansions. CFMEU claims BMA miners denied right to vote (0) May 16, 2012 The CFMEU has raised worries with the Australian Electoral Commission over BHP Billiton’s ballot for its BMA coal miners after 154 workers claim they have not received voting papers. Katter to target NSW miners and “foreign scab labour” (4) May 15, 2012 Bob Katter says he will target workers in the Hunter Valley and Illawarra to secure more Senate seats at the next election. Tradies don’t understand their tools: manufacturer (0) May 15, 2012 Most tradespeople don’t know enough about their tools and underestimate their danger, according to an Australian manufacturer. Half of all new jobs could be in mining (0) May 15, 2012 Half of the new jobs created in coming years may be in sectors related to the mining industry, according to the Reserve Bank of Australia. Don’t “demonise” oil and gas: Ferguson (0) May 15, 2012 Resources minister Martin Ferguson says protest groups need to stop trying to “demonise” the oil and gas sector. Safari company accused of African miners’ murder (0) May 15, 2012 Workers from a professional hunting company in the Central African Republic have been charged with the murder of 13 miners. 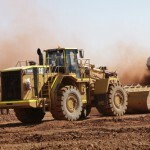 Decmil wins Fortescue contracts (0) May 15, 2012 Decmil Group has won another new contract with Fortescue Metals Group, as well as variations of two of its existing contracts with the miner. 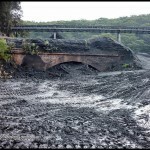 Academic dismisses impacts of Norwich Park closure (0) May 15, 2012 A Queensland university researcher has downplayed the affect of Norwich Park’s closure, saying it will not have a significant impact on workers. Coal protestors fail (0) May 14, 2012 Queensland protestors fighting the reopening of the Ebenezer mine by Zedemar Holdings are considering an appeal after the Supreme Court dismissed their claims. Suspected acid leak closes Port Botany (0) May 14, 2012 A suspected nitric acid leak has shut down nearly half of Port Botany’s container wharves. Mermaid settles “murder at sea” allegations (0) May 14, 2012 Mermaid Marine has announced a settlement with four plaintiffs over last year’s “murder at sea” allegations, which claimed the life of a Queensland oil worker. 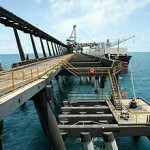 Westgold to merge with Metals X (0) May 14, 2012 Westgold and Metals X have announced today they will merge. 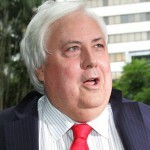 Palmer to sue Sydney Morning Herald for $50 million (0) May 14, 2012 Clive Palmer has promised to sue the Sydney Morning Herald for $50 million over “totally false and improper claims” about his China First coal mine. South Australia is ‘crying out’ for mining jobs: Gillard (0) May 14, 2012 Prime Minister Julia Gillard says the mining boom in South Australia means the region will soon be ‘crying out’ for workers. Mount Gibson appoints new CEO (0) May 14, 2012 Mount Gibson Iron has appointed Jim Beyer as its new chief. Hunter rail freight lines shut (0) May 14, 2012 The Hunter Valley rail freight lines are to be shut for the next five days. Tall poppy syndrome [opinion] (0) May 11, 2012 In this country today we seem intent on using the tall poppy syndrome to ensure that nobody does any better than the lowest person on the ladder. 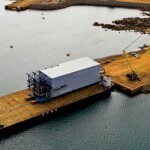 Workers get tens of thousands of dollars back pay (0) May 11, 2012 Workers at an offshore resources project in WA have received tens of thousands of dollars back pay following a union encounter with their employer. 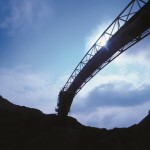 Norwich Park production stops today (0) May 11, 2012 Production at BMA’s Norwich Park mine will cease today following the company’s April decision to close the site. 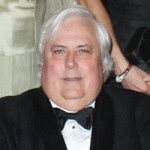 If Australia were a company I’d write it off: Palmer (0) May 11, 2012 Mining magnate Clive Palmer has attacked the Gillard Government over the budget and declared he’d have to “write off” Australia if it were a company. 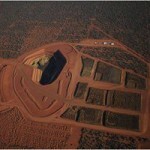 New FIFO camp for the Pilbara (0) May 11, 2012 Mineral Resources says it’s secured approval for a new 500-700 person camp in Port Hedland to house workers for its expanding Pilbara operations. Accident: coal worker hit by discharge hose (0) May 11, 2012 The Queensland Mines Inspectorate has released details over an accident where an underground electrician was hit by a loose discharge hose and sprayed with hydraulic fluid. New magazine to provide sustainable solutions to industry (0) May 10, 2012 Australia’s the largest B2B media company, Reed Business Information (parent company of Australian Mining) will launch its new digital sustainability magazine, Stream, this month. 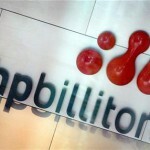 BHP to combine struggling aluminium and nickel assets (0) May 10, 2012 BHP Billiton has shifted its struggling aluminium and nickel assets into a single division based in Perth, which it says represents long-term faith in the industries. 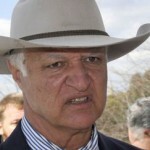 Farmers Federation should “wear little dresses”: Katter (0) May 10, 2012 Australia Party leader Bob Katter says miners are “walking over the top” of rural communities and the National Farmers’ Federation should do more to fight the industry. BHP failed Norwich Park workers: Fair Work (0) May 10, 2012 Fair Work Australia says BHP Billiton has failed its legal obligations to consult workers at the closed Norwich Park mine in Queensland. New coal boss for BHP (0) May 9, 2012 BHP Billiton has appointed Ian Maxwell as president energy coal following Jimmy Wilson’s move from to president of iron ore.
My “heart bleeds” when locals are overlooked for mining jobs: Forrest (0) May 9, 2012 Mining magnate Andrew Forrest says his “heart bleeds” when he sees foreign workers fill mining jobs that could otherwise be taken by indigenous Australians. 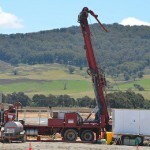 Workers caught sleeping may be sacked: Orica (0) May 9, 2012 Orica’s new Kooragang site manager Greg Holmes says workers caught sleeping on the job risk getting sacked. FIFO turns mine towns to “skeletons”: CFMEU (0) May 9, 2012 The CFMEU says Queenslanders should be wary of increasing fly-in fly-out workers for fear regions could become too similar to parts of Western Australia. 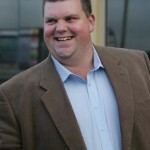 Locals wary of Tinkler’s $15,000 offer (0) May 8, 2012 While a decision is still pending most Newcastle councilors are cautious of accepting Nathan Tinkler’s offer to bankroll a Council trip to China. 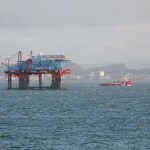 Israel wants to learn from Aussie gas industry (0) May 8, 2012 Israeli Prime Minister Benjamin Netanyahu has asked Australia for help in developing Israel’s large offshore gas reserves. 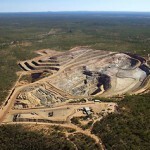 US workers to fill empty Queensland jobs (0) May 8, 2012 A US recruitment company is preparing to send skilled miners to Queensland to help companies fill desperately needed mining jobs. 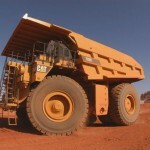 Driverless trucks and trains set for Bowen Basin mines: Rio Tinto (0) May 8, 2012 Rio Tinto says the automation technology being rolled out in driverless trucks and trains in the Pilbara will soon move to the Bowen Basin. SA Premier backs miners on diesel rebate (0) May 7, 2012 South Australian Premier Jay Weatherill has joined the mining industry in urging the Gillard Government not to scrap the diesel fuel rebate scheme in the federal budget. ACTU supports CFMEU mining battle (0) May 7, 2012 The Australian Council of Trade Unions has thrown its support behind the Construction, Forestry, Mining and Energy Union’s bitter battle with BMA in the Bowen Basin. Companies overlook older workers: report (0) May 7, 2012 According to an Australian Institute of Management report companies are focusing too heavily on training programs and overlooking mature workers. 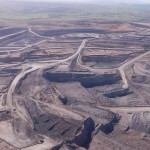 Land policy could cost $1 billion a year: Minerals Council (0) May 7, 2012 The NSW Government’s strategic land use policy could cost millions of dollars and thousands of jobs, according to research released by the NSW Minerals Council. 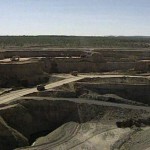 BMA has secret plans to restart Norwich Park: CFMEU (0) May 4, 2012 The Construction, Forestry, Mining, and Energy Union has accused BHP Billiton of running a secret plan to reopen the Norwich Park mine with a de-unionised workforce. Palmer launches Asian shipping business (25) May 4, 2012 Clive Palmer has created a new shipping business to service his Queensland Nickel Group’s ore freight activities. 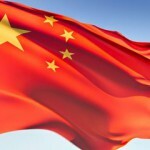 Tinkler offers Newcastle $15,000 for China trip (0) May 4, 2012 Nathan Tinkler has offered $15,000 to fund a Newcastle City Council trip to China. 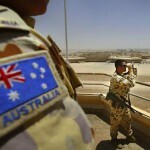 Use military to protect mining: Opposition (0) May 4, 2012 The Federal Opposition has backed plans for the defence force to play a larger role in protecting Australia’s resources assets. 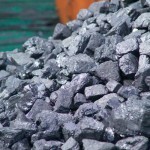 Government approves Japanese interest in Isaac Plains (0) May 3, 2012 Aquila Resources is close to selling its Isaac Plains coal mine interests after the Government confirming it has no problem with Japanese Sumitomo Corporation buying the stake. How fast can Twiggy, Palmer, or Rinehart earn your salary? 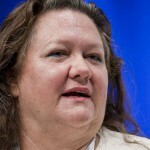 (0) May 3, 2012 An online tool can now calculate how long it takes mining magnates Gina Rinehart, Andrew Forrest, or Clive Palmer to earn your annual salary. 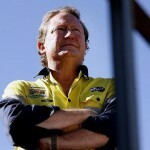 Resources companies join to push for skilled migrants (0) May 3, 2012 Woodside chairman Michael Chaney has joined Gina Rinehart in pushing for skilled migrants to fill empty mining jobs. Miner sacked for smoking underground (0) May 3, 2012 A Bowen Basin worker has been sacked after smoking on the job in an underground coal mine. 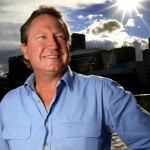 CFMEU launches pro mining tax advertisements (0) May 2, 2012 The Construction, Forestry, Mining and Energy Union has launched a series of advertisements promoting the mining tax to counter magnate Andrew Forrest’s criticism. 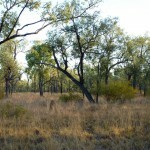 Bimblebox reserve is not important: Palmer (0) May 2, 2012 Clive Palmer says the nature reserve covering part of his proposed $8 billion coal mine isn’t important or pristine enough to save from mining development. 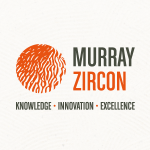 Xstrata expands zinc amid Kagara demise (0) May 2, 2012 Xstrata has announced plans to increase zinc production five percent by accelerating production at the Lady Loretta mine and extending the life of its Handlebar Hill site. 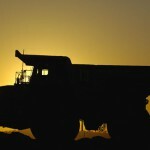 Miners should stop “poaching” workers: Council (0) May 2, 2012 A southern Queensland council says it’s considering hiring overseas workers to cope with the skills shortage created by the mining industry. 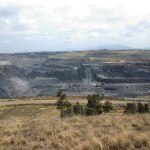 Mine recommission could make 400 NSW mining jobs (0) May 2, 2012 TriAusMin says 400 mining jobs could be on offer if its plans to recommence operations at the abandoned Woodlawn mine near Tarago in NSW are successful. Rio Tinto partners with UWA to boost mining graduates (0) May 2, 2012 Rio Tinto has announced a $3 million partnership with the University of Western Australia to increase the supply of graduates entering the mining industry. 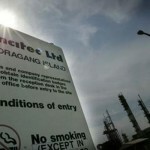 Lynas launches defamation against protestors (0) May 1, 2012 Lynas Corporation is launching defamation action against some Malaysian protestors over their criticism of the company’s operations. 325 Kagara employees may lose work (0) May 1, 2012 The majority of Kagara’s 325 workers look set to lose their jobs after the company’s move into voluntary administration. 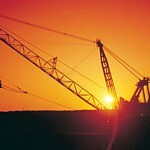 Miners sacked after not working ANZAC day (0) May 1, 2012 Five workers on the Sino Iron Ore project in the Pilbara have been fired after not returning to work on ANZAC day. 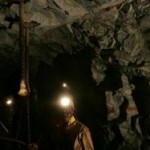 Miners lower standards to fill jobs fast (0) May 1, 2012 Mining companies are lowering their recruitment standards in order to find desperately needed workers, according to The Treasury. 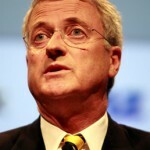 Palmer to challenge Swan in Federal election (0) April 30, 2012 Clive Palmer has announced plans to enter Federal politics and challenge Treasurer Wayne Swan in his Brisbane seat of Lilley. New guide aims to make miners safer drivers (0) April 30, 2012 The NSW Minerals Council has released a Courteous and Safe Driving Guide in response to community feedback over rising mining traffic in the Hunter Valley. 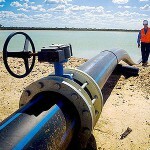 Gas protestors will “turn on NSW farmers”: Hartcher (0) April 30, 2012 NSW Resources and Energy Minister Chris Hartcher has written to country newspapers warning locals that coal seam gas protestors will soon “turn on NSW farmers”. 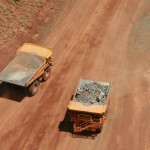 Aussies should fill Rio’s 6,000 jobs: Government (0) April 30, 2012 Federal skills Minister Chris Evans says Rio Tinto should target local workers in its campaign to fill 6,000 mining jobs in four months. Pilbara house prices $300k higher than Sydney (0) April 27, 2012 Housing prices in the Pilbara are continuing to rocket ahead of other regions in Australia, with recent purchases in Newman and Port Hedland averaging $800,000 each. Fines not enough, introduce industrial manslaughter: CFMEU (0) April 27, 2012 The Construction, Forestry, Mining and Energy Union says John Holland was not fined enough over the death of a worker in 2009. Maximum penalty for John Holland over worker’s death (0) April 27, 2012 The Federal Court has fined John Holland $242,000 after a worker fell to their death at BHP Billiton’s Mt Whaleback mine in 2009. 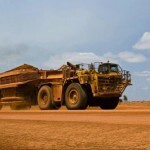 Rio Tinto to fill 6,000 mining jobs in four months (0) April 27, 2012 Rio Tinto has launched an aggressive recruitment drive to fill 6,000 empty mining jobs over the coming months. Community calls for end to BMA coal strikes (0) April 27, 2012 Mining community groups are calling for an end to the long running series of industrial action across BMA coal mines. South Australia holds mines rescue comp (0) April 27, 2012 South Australia has seen nearly a doubling in the number of teams for its mines rescue competition. 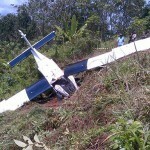 Australian miner killed in Indonesian plane crash (0) April 27, 2012 Australian Ian McDougall has died in a plane crash while carrying out an aerial survey in East Kalimantan, Indonesia. 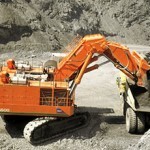 Dassault Systemes acquires mining software company Gemcom (0) April 27, 2012 Dassault has announced it will acquire geological modelling and simulation company Gemcom. Attacks on mining pile up (0) April 26, 2012 UnionsWA, the Construction, Forestry, Mining and Energy Union, and the NSW Farmers Association, along with other community groups are separately using their power to launch attacks on the mining industry. 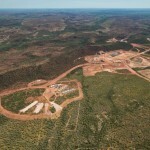 WA expands onshore shale gas and oil (0) April 26, 2012 Perth-based Tap Oil says it’s exploring onshore land in the Carnarvon Basin for shale gas reserves, while Buru Energy is a few weeks away from extracting oil in the Kimberley. 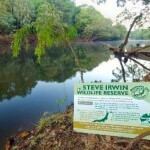 No guarantee for bauxite mine: Government (0) April 26, 2012 The Queensland Government says there’s no guarantee a bauxite mine will be approved near Cape York following the overturn of the Wild Rivers legislation. 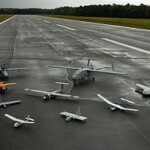 Robot planes may map and monitor mines (0) April 26, 2012 Drone aircraft, similar to those used in Afghanistan, could be used in Gladstone and Mackay to map and monitor mines in Queensland. 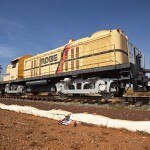 Atlas and QR National to rival BHP rail (0) April 26, 2012 Atlas Iron and QR National are working together on plans for a new rail line in the Pilbara to rival existing developments by BHP Billiton and Fortescue Metals Group. Residents raise concerns over Incitec Kooragang plant (0) April 26, 2012 The Stockton Community Action group has raised fears over emissions from Incitec Pivot’s proposed ammonium nitrate plant on Kooragang Island. 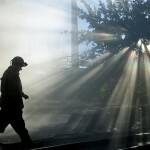 Quit mine job and get a house, BMA says (0) April 26, 2012 Norwich Park coal miners may be given a house if they choose a redundancy package.